International energy investment company, Continental Energy Corporation, and its Tanzania affiliate Ruaha River Power Company Ltd., have announced the start of construction on the first of four Tanzania Mini-Grids that are scheduled to be built. The Ruaha Power “mini-grids” will all be installed in the Kilosa District, Morogoro Region, Tanzania with electrical power generated, distributed, and sold to customers at pre-payment meters. 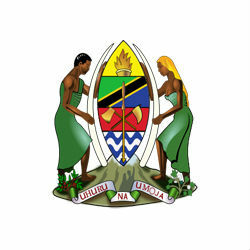 Phase-I of the Tanzania electricity development project is expected to start delivering power by the end of the first quarter of 2015, but the process of subscribing customers from a waiting list of at least 400has already begun. Phase-II of the project will include the addition of solar PV capacity to complete a hybrid biomass/solar PV/ diesel powered Mini-Grid. Upon completion the four Malolo Mini-Grids will have a combined generation capacity of 300kw, with each Mini-Grid delivering 75kw of power to 2,500 residential, commercial, and light industrial customers.